Just because sneakers are casual doesn't mean they have to be ordinary. 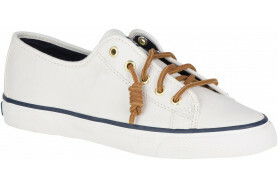 The stylish Sperry Seacoast Sneakers for women are sporty-chic and comfortable for all day use. 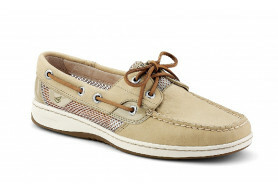 The Seacoast is crafted with quality canvas to create a classic look for timeless style as well as strength and durability, and non-marking soles include our razor-cut Wave-Siping™ for traction and safety.